Dafnis Prieto is a gifted educator who has conducted numerous master classes, clinics, and workshops. 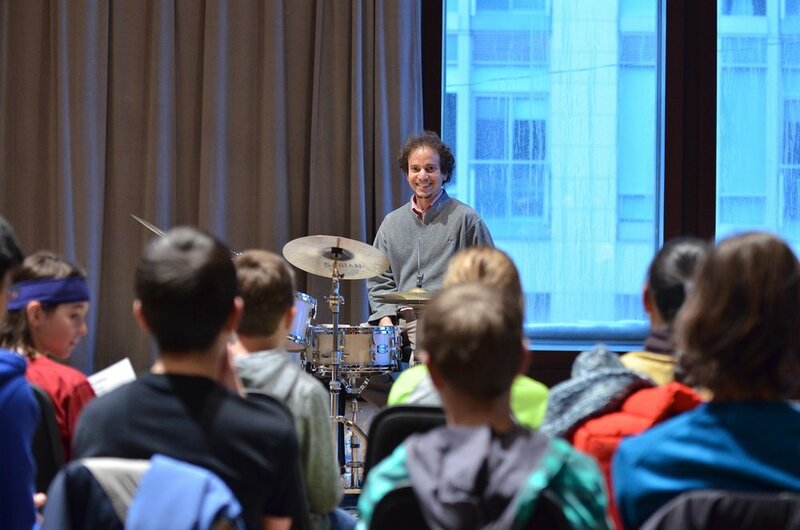 Dafnis was a faculty member of Jazz Studies at NYU from 2005 to 2014, and in 2015 became a faculty member at the Frost School of Music at the University of Miami. He has created a very personal method to teach to his students. In his drum clinics and master classes, Dafnis teaches how to use traditional Cuban rhythms in an innovative way, from a new perspective of sounds, including not only the extraordinary polyrhythmic possibilities but through the use of melodic themes within the drums, building very particular rhythmic lines using improvisation as a very important factor. Why do you enjoy teaching? I enjoy teaching because it is a direct way to interact and communicate experiences to new generations of artists/musicians that are eager to learn. The process of teaching brings a sense of spirituality that is experienced through a reciprocal appreciation. It also brings a great deal of self-discipline because it involves dedication, and the commitment between the teacher and the student. What do you hope to pass on to your students? First of all, the joy behind what we do and how to keep that joy through a creative attitude, either while practicing or playing. I like to bring consciousness of ideas and work on the different techniques to make those ideas possible. I like to bring awareness of musical traditions as well as the creative approach to making music. There are a vast number of possibilities when we approach music, therefore, I always give the students the freedom to choose, but with a personalized guidance and a body of knowledge that will support each particular intention.